This video speaks volumes! Also, kudos to the Palestinian young man for staying calm and rational while all of this was happening. May 15th, a little less than two weeks ago, was the 63rd anniversary of the Palestinian Nakba. The word Nakba is Arabic for disaster or catastrophe. Usually this event gets a mention in US and global media since it is also the date for Israeli independence according to the Gregorian calendar. Every year many US news outlets explain catastrophe as referring to the creation of the state of Israel. This explanation is simply incorrect (or incomplete at best). The catastrophe actually refers to the Palestinian exodus of 1948; the expulsion of hundreds of thousands of Palestinians from their homes and the destruction of hundreds of Palestinian villages. These events resulted in a massive number of Palestinian refugees who were either driven out of their homes or fled in fear for their lives. My grandparents happened to be of the first category, and their ancestral village near Haifa was destroyed by the Zionist forces (that later became the IDF). 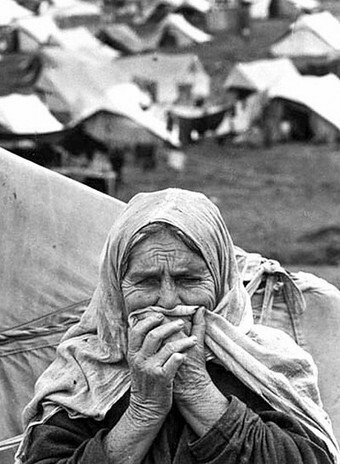 That is why, most Palestinian Nakba memorial posters are just pictures of refugees and their tents. A simple Google image search shows the same. Yes, it was a catastrophe that on May 15th Palestinians lost their ancestral homelands and their state. However, it is also disastrous that many US media outlets do not mention Palestinian uprooting as the real catastrophe. 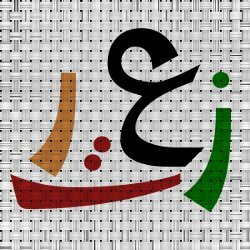 You have made a post that dares to criticize Israel. As you know, this makes you an anti-semite. [x] 6 million Jews died in the holocaust. [x] You are an anti semite. [ ] Israel made the desert bloom and we have beautiful beaches. [ ] The Jews have been persecuted for thousands of years. [x] All arabs want to push the Jews into the sea. [ ] Israel is a shining example of democracy and ethnic discrimination does not exist. [x] Suicide bombers are killing Israeli citizens and collective punishment will put a stop to this eventually. [x] The IDF are showing remarkable restraint; They have the power to nuke the entire region but choose not to. [ ] It is the fault of the Palestinians that they don’t rebuild infrastructure fast enough after we bomb it. [x] Arafat walked out on camp David, proving that 100% of Palestinians want war, not peace. [x] The Jews are God’s chosen people and this is the land that was promised to us by a book. 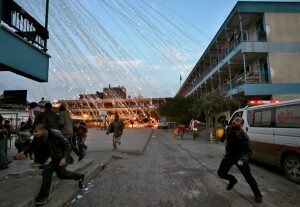 [x] It’s not white phosphorus, we were just dropping road flares! [x] It is not a genocide until hundreds of thousands of Palestinians are killed and we aren’t even close to that yet. [ ] 100% of Palestinians are terrorists. [x] The Arabs drove the Jews from their homeland thousands of years ago so it is about time for some payback. [x] Israel has killed fewer people than Iran or Iraq which means we are a peaceful state. [x] Carpet bombing an entire country is a perfectly rational response to the kidnapping of a soldier. [ ] It’s not a concentration camp, it’s a safety wall! Therefore, your claim of [Israel dropping white phosphorus on a United Nations school] is false and we should continue to send money and military support to Israel. This was provoked by the onslaught of nonsensical responses by Israeli apologists after somebody dared post this picture from Israel’s attack on an UNRWA school in Gaza during operation “Cast Lead”. If you’re interested, I blogged about my reaction to the attack on this school when it happened here.